The Haan steam cleaner is one of the most trusted brands when it comes to steam cleaners and cleaning appliances. In this article, we review the Haan FS 20 and the Haan MS-30 steamers. Haan is a brand born from a young Korean housewife and her mother. Who is best person to design home appliances? The people who use them of course! Romi Haan wanted to design easy to use products that would help homemakers in their cleaning tasks. She also wanted to use the power of steam to accomplish this, and so, Haan steam cleaners were born. Haan is serious about their products and are known for their serious design and quality materials. All of Haan’s products are made in their own factories and not outsourced to ensure that the highest quality standards are upheld. This company and brand has grown to be widely respected in Korea and throughout the world. They design a wide range of floor sanitizers, steam vacuums, portable steamers, multi purpose steamers and also garment steamers. 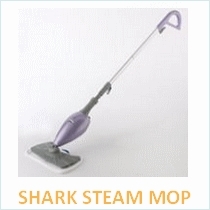 Since there are so many models, we will look at the most popular and highest rated steam cleaners and Haan steam mops. 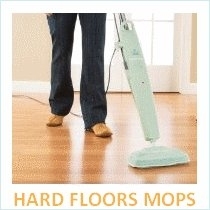 The HAAN SI-40 Swivel Head Floor Steamer is the most popular and highest rated Haan available. 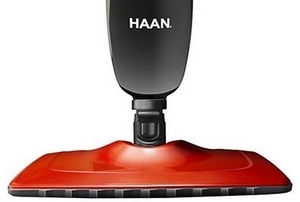 Using this Haan steam cleaner, you can safely clean and sanitize all of your hard floor surfaces using only steam. This Haan steam mop emits steam at temperatures of 212°F which can kill bacteria and germs while leaving behind dry floors. It is lightweight and very easy to use and has a 19ft extension cord. It has a low profile 360 degrees swivel head that can reach into all those hard to reach places that you used to have to clean by hand. It has 15 steam jets from which steam is emitted and will be ready to use in a mere 20 seconds and will give you about 25 minutes of cleaning time. You get 2 microfiber cleaning pads, which are super absorbent and will trap the dirt deep within its fibers, a resting pad and a carpet glider attachment. It will cost you around $99 which is well worth it as it has a four star rating. • Customer services are not very good. The next Haan steam cleaner we’ll be reviewing is the Haan MS-30 multipurpose steam cleaner. The Haan MS-30 is one of the best multi purpose cleaners you could ask for. 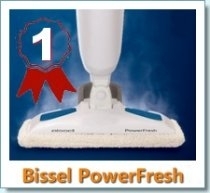 It is lightweight and compact which you can use to clean surfaces high and low. This includes your sink, walls, ceiling, countertops and more. Consumers liked that it works well on a wide range of hard floors including laminate, tile, travertine, bamboo and others. It is great for everyday cleaning and most customers were completely pleased with the performance of this Haan. The pads are attached by Velcro which is a great design feature as you don’t have to fit on the pads. This is great as you won’t experience problems with shrinking or difficulties putting on the pads after washing.